Born during the hot summer of 1971 (July 26) in Stuttgart, Germany, I soon convinced my parents that kids need a lake to survive the summer! So six months after my birth they moved to Konstanz on Lake Constance (Bodensee). The fact that the Fachhochschule Konstanz (University of Applied Sciences) desperately wanted my dad as a professor for control engineering helped with the decision. Only three years later I welcomed my sister to Litzelstetten (our village 10km outside of Konstanz). I spent 9 years attending Suso-Gymnasium, battling Latin and Classical Greek. Skiing and ice skating dominated the winter activities, while we spent the majority of our time swimming and playing outside in the summer. Following my high school graduation I took a year off and explored Australia as well as the “real life” (jobbing in Switzerland). After that I felt ready to start my studies of Business Administration at the University of Regensburg (Bavaria). Regensburg is a gorgeous city on the banks of the river Danube in Bavaria, featuring many old buildings and churches. The 5 1/2 years in Regensburg were filled with lots of social activities, endless hours of studying in the library and much running and biking in the hills around the city. A few months before graduating I decided to take a job with an Interactive Marketing agency in Munich and commuted between Regensburg and Munich until I finished my MSc (Diplom-Kauffrau) in June 1997. Tedious rehab after a horseback riding accident in Munich gave me the time to reevaluate my life. As a result, I chose to tackle a new adventure and move to California to work as a Management Trainee for Enterprise Rent-a-car. However, neither the work schedule nor the Bay Area accommodated my passion for the outdoors. It only took a short trip to Montana in the summer of 1998 to make me fall in love with the Montana mountains, people, and the Big Sky. I decided to leave California and … heck, my belongings were already stored in Germany so why not stay a bit longer in the US! I applied and got accepted for the MBA program at the University of Montana in Missoula. With the help of my California friends all my belongings were loaded into a van, and I was off to Montana. I had a great time in Missoula with my fellow students, my teachers, and new friends. My parents, who had already visited me in California, also saw my new favorite state and liked it just as much. I graduated with an MBA in May 2000. From the beginning of my studies at the University of Montana, I worked as an assistant for MaryEllen Campbell at the Business School. It’s difficult for me to explain how much I owe to her for being such a caring, motivating and challenging mentor. Words don’t seem to be enough. She and her husband Dennis O’Donnell are not only my employers and advisors, but also my Montana parents. I stroke up close friendships with many wonderful and amazing individuals. The time I am able to spend with these friends remains an enormous treasure to me. The incredible nature of Montana has been my inspiration and motivation ever since I set foot on its ground. The endless opportunities to hike, run, ski, snowboard and swim in Montana accommodate my outdoor lifestyle and often trigger the famous “Biggi smile”. By not taking it for granted, the beauty of this state took away my breath every day. I loved every minute of hiking the peaks and valleys of Western Montana with friends, running along the Clark Fork River, snowboarding Lost Trail ski area, housesitting in Pattee Canyon for MaryEllen and Dennis, chatting and working with the enthusiastic faculty at the Business School and sharing coffee or wine with all the amazing and delightful friends I found in Missoula. Another unique experience was the work as an emergency firefighter during the horrific 2000 fire season. But good positions are rare in Montana. Together with MaryEllen I decided that the flexibility and challenges of being a professor would suit me well. This job would allow me to keep the schedule I love and at the same time meet and teach many interesting people. To work towards the required Ph.D. and still be near the Rockies, I moved to Boulder, Colorado, and applied for the Ph.D. program in Marketing at the University of Colorado. Surprisingly … they accepted me! After working as a TA for an E-Commerce class during the spring semester I was scheduled to start the Ph.D. program in the Fall semester 2001. To survive financially, I continued to work in online marketing in Boulder as well as on other marketing projects throughout the nation. Boulder is a bit crowded but has lots to offer (it is no surprise that many athletes chose to live there!). Officially it has 322 days of sunshine a year! That combined with the first class powder in the world-class ski areas is hard to beat. The mountains are very close, and with a season’s pass for some of the ski resorts I spent most of the Winter 2000/2001 in the mountains. Boulder is also a running city (rated #1 in the nation by Runner’s World) and supports runners like me to the fullest extent: races, specialty stores, clubs, and an extensive network of trails. Everybody in Boulder is interested in outdoor activities; climbing, snow shoeing, cycling to name just a few. I also took advantage of the close-by international airport in Denver with trips to the Carnival in Konstanz and Rio de Janeiro. On November 17, 2001, I moved to Dunedin, New Zealand. The weeks prior to the move were stressful but I was so excited that I didn’t mind all the preparations. 99% of my belongings were sold in garage sales, the rest I packed in big boxes. Two weeks prior to my departure my dog Kootenai was dropped in Los Angeles from where a dog shipping company arranged his flight to New Zealand. He survived one month in quarantine in Christchurch without any personality damage! Since the first contact I was overwhelmed by the extraordinary friendliness, helpfulness and encouragement that faculty and staff at the University of Otago were showing. They worked with me on the little problems that arose during the application and pre-move period, and always found a solution (even a first temporary home as well as a car). While in Dunedin, they continued to support me in every way possible, and everyone I met extended a warm welcome. A roundtrip to the West Coast and back gave me a first impression of the incredible variety of landscapes in this country: rainforest and glaciers, green hills with sheep, beaches with penguins and seals, lakes and rivers, snow-covered mountaintops. I explored New Zealand as much as possible with trips to Marlborough Sounds, Hanmer Springs and Mount Cook, Central Otago and others. The Milford Track, often called the greatest track in the world, was another breath-taking experience. Over the years, I have spent much time in Central Otago and call Wanaka my favorite place in New Zealand. 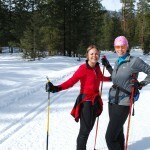 The skiing, running and relaxing there are hard to beat! Being so close to the South Pacific I had to check out the beautiful islands and visited the Kingdom of Tonga for 3 weeks (June/July 2002). What a different culture and exceptional experience! Living on a deserted island for a few days was a real Survivor experience! During my studies, my Ph.D. supervisor Sheelagh Matear surpassed all expectations by being an extremely helpful, supportive, encouraging, knowledgeable, approachable and energetic mentor. My research in the field of web metrics and their use in strategic marketing decisions (web companies) was successful and was encouraged by a very positive feedback from the ANZMAC 2002 Doctoral Colloquium in Melbourne as well as a conference presentation in Portugal in June 2003. During my PhD studies I also published two journal papers and presented my research at a conference in Edinburgh (2004). Because it was so close, I spent a lot of time in Australia. With direct flights from Dunedin it is just a quick jump! I spent 2 weeks in Tasmania in January 2003, and most of my research was done in all the major cities in Australia. Gotta love the Aussies and their personalities. I am lucky to have many good friends in Oz. I went back for another conference in Adelaide, which also gave me the opportunity to catch up with good friends. I also accompanied my parents and my sister on their New Zealand trip around the South Island in February 2003. As most other visitors, they were hooked on the beauty of the country instantly. The travels continued with a Round-the-world trip in June 2003. After visiting many relatives in Germany, I presented a paper at a conference in Portugal, visited my friend Eva in Austria, carried out research in Denver (and visited friends in Boulder!) and topped it with a few days in Maui, visiting old friends of mine. Truly worth all the time spent on planes! … For the rest of 2004 and the first half of 2005 my life consisted of PhD, more PhD, some training and teaching, and more PhD. research. Most nights I was working on the laptop, “Red Bull” being my best friend. But the social and physical sacrifices paid off, and finally, on June 28, 2005, the big thesis (500+ pages) was submitted. I was lucky that my examiners accommodated my somewhat tight timeline and finished their reviews quickly. After a very enjoyable defense in August 2005 and very minor revisions to the thesis, I can now call myself “Dr. Biggi” 🙂 What a project … what a challenge … and I enjoyed it all the way to the end. Upon my return from Europe in 2004, I got involved with a group of local triathletes in Dunedin, which proved to change my lifestyle and training dramatically. That summer (04/05), I competed in most of the local triathlons in Dunedin as well as a few regional ones. Compared to “just” running, I very much enjoyed the variety and challenges of triathlon training. I had to improve my swim technique and was brand new to cycling. But cycling soon became the favorite discipline of the three sports. I felt that this was the sport I could be training for and competing in for many years to come. And since (almost) every triathlete dreams of competing an Ironman, I decided that this was my next challenge! After the Ph.D., I needed a break from teaching and research. I also wanted to fulfill my dream of training for an Ironman event without the restrictions of a full-time job. 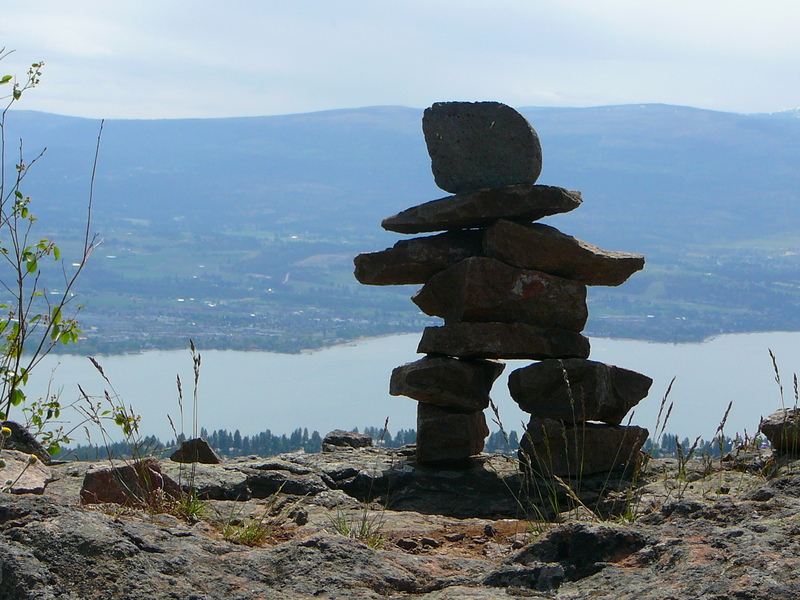 I decided to move to Kelowna, British Columbia … I always liked Canada when I visited, and Kelowna is, without doubt, one of the best places to train! There are literally dozens of training groups for each discipline, the weather is warm and dry, perfect for long runs and bike rides. 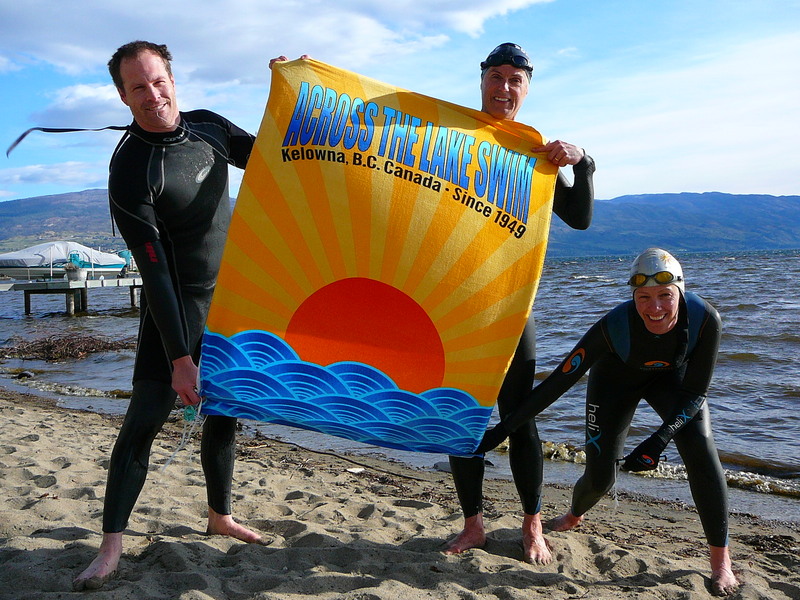 Okanagan Lake makes open water swims convenient and enjoyable. 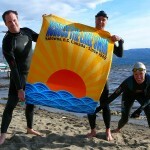 I registered for Ironman Canada in August 2006 and started enjoying the local triathlon scene. In December 2005, I had the unique opportunity to teach two marketing classes in Shanghai, China. It was a wonderful experience (even though the unheated classrooms were a challenge!) and I met many wonderful people. The Chinese culture is so different from ours! Being involved in everyday life and getting to know the students and learning about their lives was very interesting and a real eye-opener; I’m glad I had this opportunity. Luckily, I was able to go back to China in December 2007, teaching Marketing in Tianjin. While Tianjin is already a big city (10+ million people), it is not far from Beijing – about an hour on the train. 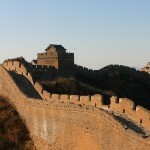 I managed to get away to Beijing every weekend to take in the sights there. 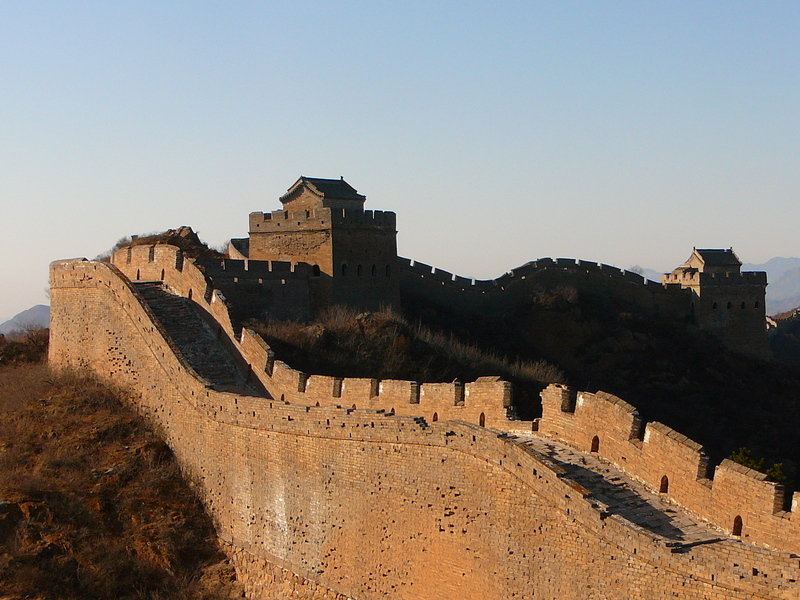 This included an amazing day trip to the Chinese Wall (and a long hike on it). While originally living on the West side of the lake for a few months, I then moved to the East side of the lake, renting a cute little house in a very convenient location. It was close to the beach, coffee shops and all workout meeting points. Over the months, I had the opportunity to meet many local athletes who have all been welcoming and encouraging. 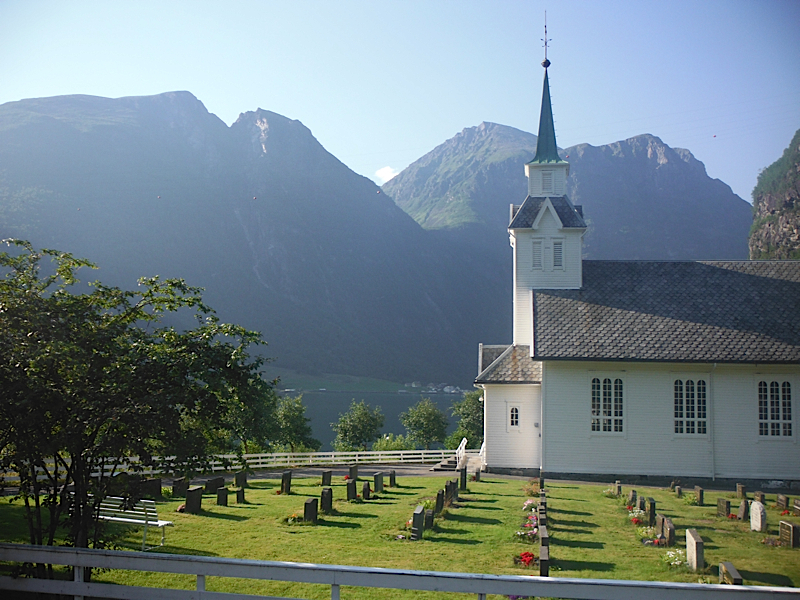 Together, we all enjoy long sunny bike rides and challenging swim workouts in the lake … and of course the occasional party 🙂 The area is home to many races, road running, triathlon and cycling. In August 2006, I finished an already successful triathlon season (age group wins, race wins, etc.) with a sub-12hour Ironman Canada in Penticton! What an experience (see the Gallery for pictures). Since then I have continued the training and racing, participating in local Olympic distance and half Ironman events. A “regular” (until they cancelled it in 2013) was the Grand Columbian Half Ironman in Grand Coulee, Washington. Spectacular scenery, great race organization, and lots of local support made this a favorite of mine to conclude each racing season. Over the years, I have also become involved in organizing races, being a Director for both the Kelowna Apple Triathlon and the Across the Lake Swim Society (an annual open water swim which started in 1949).When I am not racing, I volunteer as a race official at local races, having gone through the qualifications and training. In the winter, the hills surrounding Kelowna get lots of snow. Having been a skier and then snowboarder all my life, I switched my focus to skate skiing which is a great cardio workout and a very enjoyable way of staying fit during the winter. 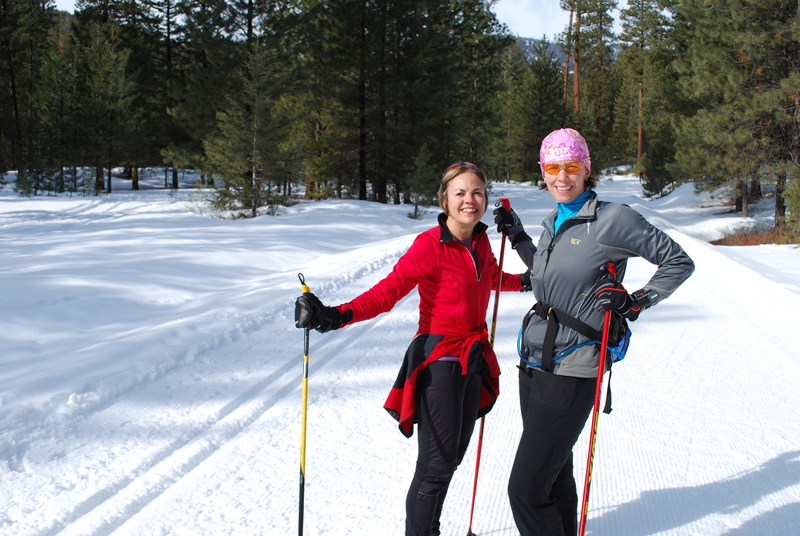 We have a great group of like-minded skiers and we often enjoy the peace and quiet and beauty of the trails together (as well as coffee of course). I have also started long-distance trail running, training mostly in Myra Bellevue Provincial Park. Starting with 25km races, I completed two 50km races in 2015 and am aiming for a 50 miles race in 2015. After a while of doing marketing consulting and projects, I started to work in the academic field again in August 2008. I am currently working as a professor at the University of British Columbia Okanagan and Thompson Rivers University (also taught at Okanagan College for a while). The courses and assignments change but I typically teach E Commerce, Marketing, and Computer Applications courses. The students are always enjoyable, both “rookie” first-year students as well as the more “seasoned” fourth-year students at UBCO. While September to April are busy, the academic work also allows me to have a lot of time in the summer for training, racing and volunteering. Just perfect! I continue to travel as much as I can. For shorter get-aways, I try to go to Winthrop, Washington, as often as I can. It is a perfect spot in the North Cascades area of Washington, with lots of opportunities for cycling, hiking and skiing (200 km’s of maintained xc ski trails in the winter!). The drive from Kelowna is only about 3.5 hours. We have made it to Kona, Hawaii, for the Ironman World Championships annually for a few years, a Mecca for triathletes! In 2012, we spent a week in Kauai before heading over to Kona, and the following year we visited Maui. Other trips took me to visit family in Germany, to Cuba, Austria, Scotland and Tuscany, as well as to the Vancouver Olympic Games in February 2010. 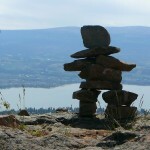 We also travel around BC quite a bit … be it for weekend ski trips (Sun Peaks, Mt. 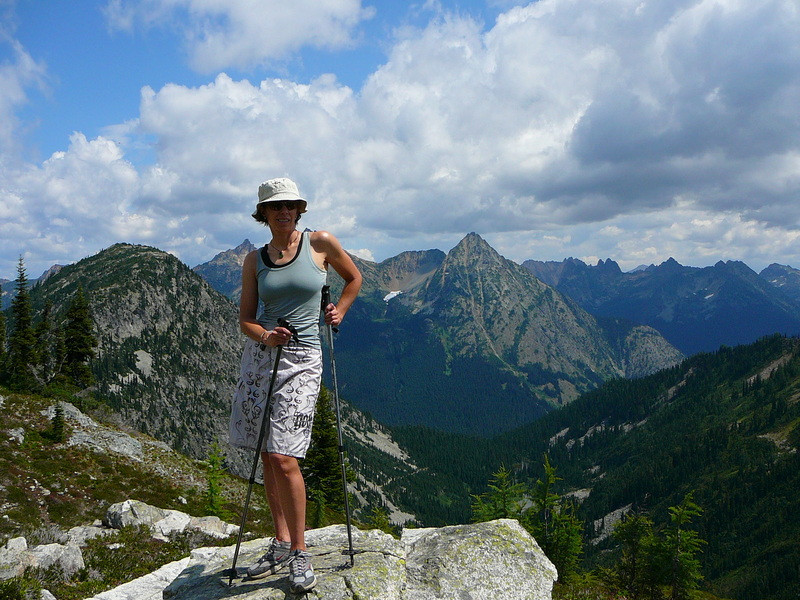 Baldy, Vancouver, Silver Star), hiking (New Denver, Manning Park, Rockies etc.) or cycling (Golden Triangle in the Rockies or Century Rides in the Okanagan Valley). We have explored the US East Coast, Norway from north to south and and the Maritimes including Newfoundland. Hey there! Is this website still active? I have some questions regarding your hike to Gwillim Lakes. Thank you!